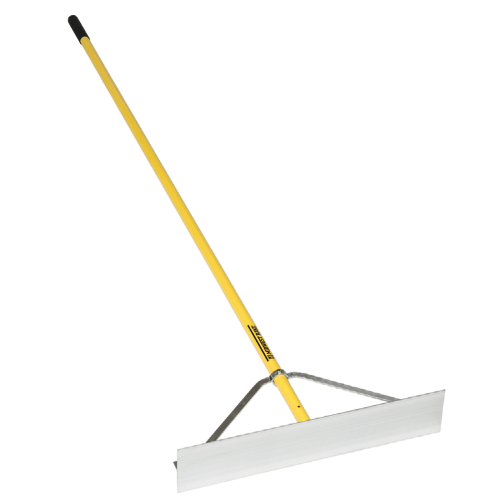 24(30cm) Heavy-Duty Aluminum Head with 82(205cm) Powder-Coated Aluminum Handle and Wrap-Around Bracing. 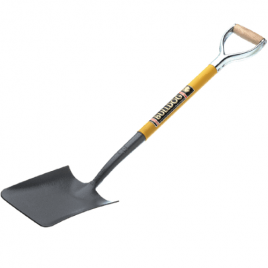 Ideal for scooping aeration plugs from your greens and spreading top dressing in small areas. 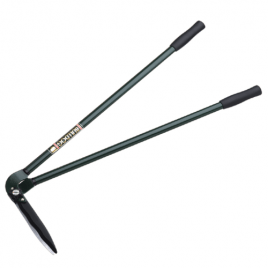 36″(91cm) Heavy-Duty Aluminum Head with 82″(205cm) Powder-Coated Aluminum Handle and Wrap-Around Bracing. 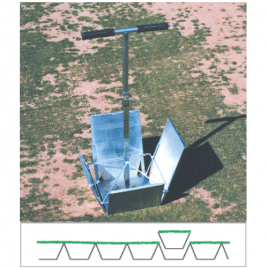 Ideal for scooping aeration plugs from your greens and spreading top dressing in small areas. 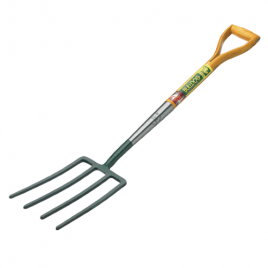 with 28 (71cm) All metal handle and D shaped grip. with 8.5 (21cm) Wavy heat treated blades. The Turf Doctor cuts an inverted pyramid shaped sods for patching and repairing locally damaged small areas. The repaired areas can be played on straight away. The sloping sides of the sod are pressed tightly together resulting in minimal root damage and quick recovery.